Please contact us and we will investigate your concerns thoroughly. You can find more about our complaints process here. What if I am unhappy with the outcome of the complaint? If you are unsatisfied with the outcome of our investigations you may refer the case to the Financial Ombudsman Service (FOS), which is free for all consumers. You can find more details about the FOS here. What if I don’t agree with your advice? You are not obligated to take any action we recommend, and you are of course free to continue with a course of action we recommend against. However if we believe that what you want is not in your best interests it may be that we will refuse to help you further. Can’t I do all of this myself and save money? 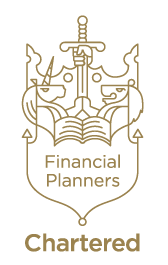 It might be that you don’t need a financial adviser if you are confident or experienced enough to handle all aspects of your financial planning, but…. Can I do some of these things myself? Certainly. We are here to provide you with as much support and advice as you feel you need. Some clients trust us to do everything for them, others only contact us on occasion when they need a professional opinion. We find that it helps when we can be involved in all areas of a client’s financial planning, but the choice is yours. To achieve the coveted chartered status our advisers have met the highest standard in qualification and practice within the highly regulated UK financial services industry. Of the thousands of financial advisers registered in the UK only a few can call themselves Chartered. You can find out more about the Chartered status here. How much do I need to invest with you? We don’t turn away clients on the basis of how much money they have. As long as you are able to pay for our service we are happy to help you. Some investment products may have a minimum investment but can take this into account in our advice to you.